Fashion weeks have been all around us. That's why I went to the Italian Vogue site to collect to list the most amazing fashion shows for you. I will also tell how I think these shows will turn out in collections next year. Let's start with this amazing collection from Angelos Frentzos. Do I need to say more about the hair styles, shoes and amazing fabrics? I'm blown away! Such a pretty basic collection from Akris! The caps give it just that little extra, you know, that style that's needed to be awesome. Caps and dresses it is! Thank you Akris for making it possible for me to wear this next season. Fabrics, patterns, huge glasses. Do I need to say more? 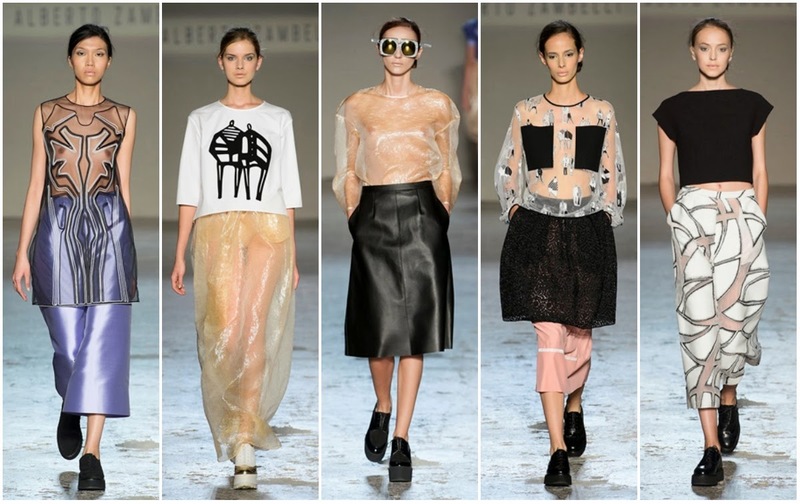 Thank you so much Alberto Zambelli for creating this amazing collection. What girl wouldn't like these outfits? They are comfortable, look chic and they are original at the same time. It's a yes for me! Andrew Gn came up with this amazing collection. I'm totally in love with the bright colors and it seems as he's been experimenting with different shapes. I really like the waists which seem out of balance, but wow..
Chanel is well known in the fashion industry for its use of fabrics and patterns. 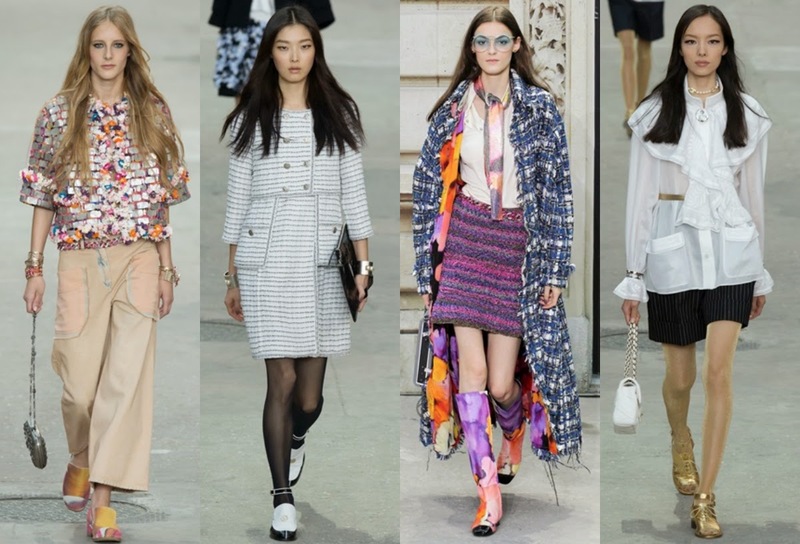 I think Chanel did a really nice job with the layering effect and a fabulous nerdy look! 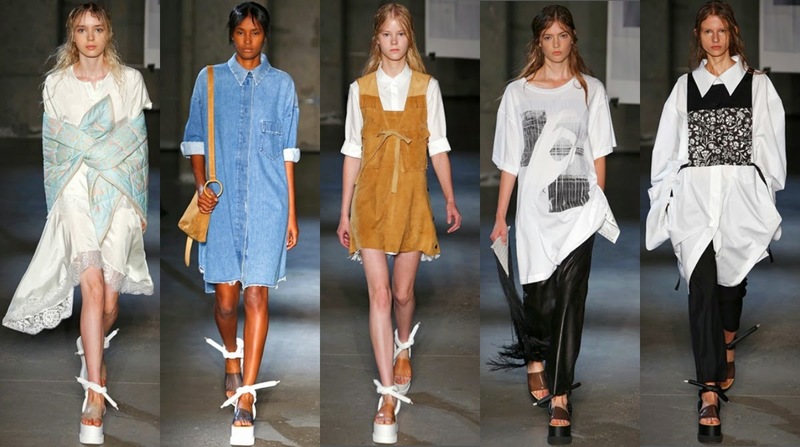 This schoolgirl-like collection from Chloe Sevigny is totally cute! I love the head accessories, cute shoes and outfits. The one with the red shoes is my favorite. I think it's really girly but still original and chic. Would you wear any of these outfits? Don't miss the Coach collection. It's totally ready to wear and so cute! The designer definitely has a sense for colors and how to combine them. I really like the unusual combinations in which a normal sweater suddenly looks chic. 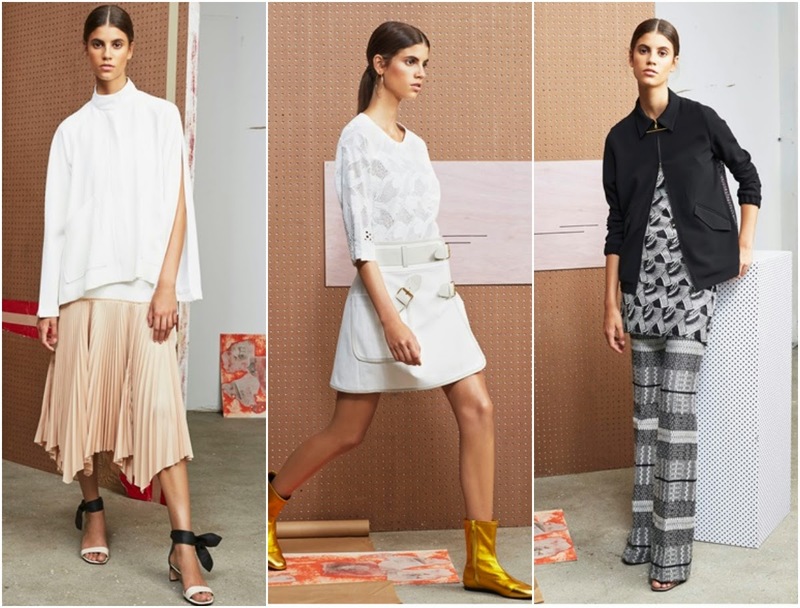 The clothes in this collection from Derek Lam are not specifically unusual or amazingly original, but it's the combinations which attracted me. I think the combinations are so unusual but so perfect and I would definitely be able to be inspired by his collection! Even though they call this collection from Gareth Pugh 'ready to wear', I don't think many people would wear all the items in this collection. Personally, I'd love to wear the second outfit. A plain black jumpsuit with a huge scarf. For me it's a total go. 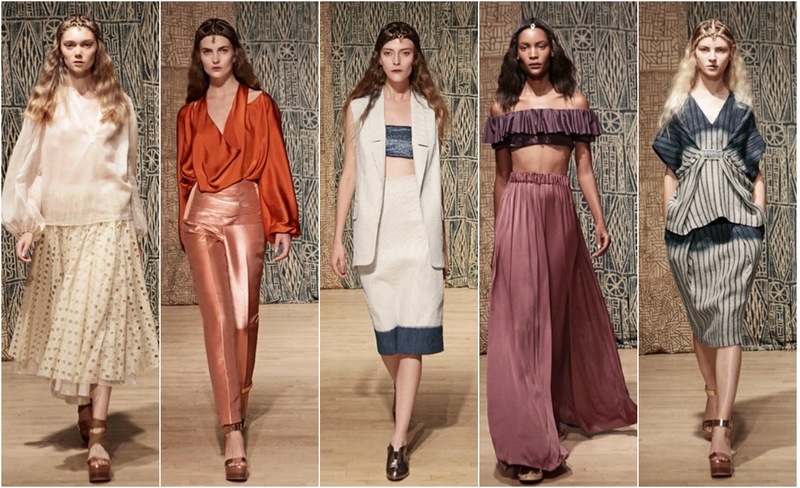 It seems as if this collection has been inspired by a lot of classical themes like nature, fairy tales (witches, fairies) but it still looks so chic and would be totally appropriate for a formal occasion. I think the designer did the best job of maybe all the designers in this list. It's so original and that's what I love! These designs from John Galliano have a lot to do with nature. Wooden hats, wooden shoes, green clothes, a trees print and even leaves on the shoes! He took back to nature quite literally, but the collection turned into something amazing. I can't wait to see how companies are being inspired by this show, turning their collections into green. To be honest, these are not my all-time favorite outfits. I really appreciate Maison Martin Margiela's originality, but I just wouldn't wear these outfits. However, I do love the shoes and I think it gives a nice representation of the 'just out of bed look'. If these outfits were just a little different they would be amazing and I would actually wear the dress in the middle. According to Oscar de la Renta lace will be back again next year: yeah! I love lace and these pretty colors are so perfect for summer. I also love the color combinations and the fabrics which look really really chic! Wow! This show from Tia Cibani is amazing! I totally am in love with the luxury fabrics. I get the feeling as if I'm looking at some casual, but pretty queens. I also really like the colors used in this collection. Go for something unusual next seasons and maybe you discover the latest fashion trends yourself! Overall I've seen many details on the shoes while browsing through the fashion shows: leaves, bows, feathers and even belts are a total turn-on next spring/summer season. I think it's going to be a colorful, but queen-like season and I can't wait to see all the new collections already! Which of the shows above do you love the most? Let us know in the comments! These look amaaaazing. I love the Alberto Zambelli collection the best. The sheer details are stunning! so many good looks <3 aw! it's hard to pick up favourite one!